Meth is a highly addictive stimulant that has a long-lasting impact on your body. Unlike cocaine, this is a man-made substance, for which the therapeutic scope has declined with the dawn of other successful stimulants. Even though methamphetamine is not a new drug, newer production techniques have increased its popularity in recent years. Amphetamine was first prepared in 1887 in Germany and methamphetamine was prepared in Japan in 1919. Of both amphetamine and methamphetamine, the latter is more potent and easier to make. Solubility of crystalline powder in water makes it perfect for usage as an injection, which consequently makes it more popular. 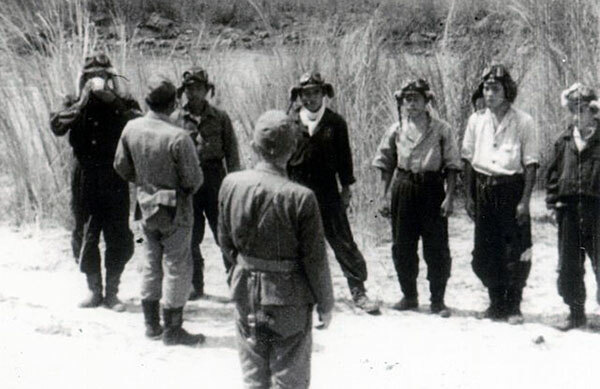 Early recorded use of meth on a large scale was in Kamikaze pilots were induced with high doses of methamphetamine before their suicide missions. During World War II, methamphetamine was used widely to keep the troops awake. After the war, abuse of methamphetamine through injection reached epidemic proportions, mainly on account of wide and easy availability of supplies (stored for military use) to the Japanese public. On the other side of Atlantic, easy availablity resulted in abuse of meth as a non-medical stimulant by different sections of society such as college students, truck drivers and sports persons, resulting in abuse reaching epidemic proportions. Methamphetamine was also prescribed as a medicinal aid for combating depression and as a diet aid. Increased availablity of methamphetamine in injectable form further worsened the situation. Besides easy availability, inexpensiveness of meth in comparison to cocaine also increased its popularity. In order to control the largescale abuse, the US government made it illegal to use meth for many purposes. In today’s era, Myanmar, China and Thailand produce most of the drug present in the market. Methamphetamine abuse has become a devastating epidemic. There are close to 26 million methamphetamine addicts worldwide and it is considered as the second most abused drug around the world. In the United States itself, nearly 11 million Americans have used meth on at least one occasion. The United Nations Office on Drugs and Crime estimated worldwide production of amphetamine type of stimulants, which includes methamphetamine, close to 500 metric tons a year with 26 million abusers. In 2008, approximately 13 million people over the age of 12 years were using methamphetamine in the United States, this number is close to double that in 2017. The percentage of drug rehab treatment sought due to this substance abuse tripled from 3% in 1996 to 9% in 2006. Methamphetamine is a widely abused drug in Czech Republic. Called ‘Pervitin,’ meth is produced in small laboratories in the Czech Republic. In Southeast Asia, which has become a major hub for meth production and abuse, meth is popularly known as Ya ba in Thialand and Shabu in the Philippines. A form of methamphetamine, crystal methamphetamine is a rock-like crystal, which comes in semi-transparent, white or blue colour. Crystal meth is generally developed in home laboratories and warehouses. Since the drug contains OTC medications and household chemicals, it is relatively simpler and easier to produce. Illegal to produce and use, crystal meth is mostly heated and smoked in a glass pipe. Very rarely is the drug crushed and snorted or even injected. Smoking crystal meth fastens its reach into the blood stream, resulting in addictive nature of the substance amongst its users. Scarred and prematurely aged face is the common symptom in people who abuse meth or crystal meth. Abuse of crystal meth is most prevalent in the United States and the National Institute on Drug Abuse reported that nearly 11 million Americans (both adults and children aged 12 years and above) had abused this drug at least once in their lifetime. As of 2011, the Drug Enforcement Administration stated that nearly 12 million Americans reported lifetime use of crystal meth or methamphetamine for non-medical reasons. Across the globe, there are close to 26 million abusers of crystal meth and Methamphetamine. Use of methamphetamine results in a feeling of increased well-being and energy, and this wrong perspective results in the addict to push himself faster and further into the cesspool of drug use. There is a “crash” or physical and mental breakdown once the aftereffect of the drug wears off. Use of crystal methamphetamine over a consistent period may result in side-effects with lots of visible symptoms. There are many symptoms that give away signals that are alarming too. Let’s begin with the short-term effects and then move onto the long-term effects. Meth users generally tend to get suicidal thoughts and unswerving use can also result in anxiety, paranoia and insomnia. Smoking crystal meth results in vapour flowing rapidly from lungs to the bloodstream and then to brain from where the actual action begins. Use of crystal meth provides instant and longlasting euphoria, acting as a stimulant coursing through the entire body. There is increased energy and alertness which can lasts up to 12 hours. Most common short-term effects of crystal meth begin with a deep ‘rush’ that lingers for nearly 30 minutes and one tends to get highly motivated to achieve aspirations and fulfil dreams. Confidence and self-belief in a crystal meth abuser gets increased and the individual has enhanced ability to sort out problems. These so-called favorable effects eventually tend to give way to many undesirable side-effects. The drug can extract erratic, random and even violent behaviour in the users when drug is ingested in large quantities. Some common short-term side-effects include loss of appetite; increased heart rate, blood pressure, body temperature; dilation of pupils; turbulent sleep; nausea; erratic & violent behaviour, excitement & hyperness; hallucinations; irritation; panic attacks; seizures; psychosis, and in many occasions even death due to overdose. Long-term methamphetamine abuse can result in many side-effects, of which addiction is one. Addiction, in itself, is a chronic and relapsing disease, symbolized by compulsive seeking and use of drug, accompanied by changes in the brain and various other ill-effects on the body. Just like other drugs, the tolerance level of methamphetamine increases with repeated use. Drug abusers often times need bigger dose and on more frequent basis, even changing mode of ingestion in an attempt to get the high. Increased need for feeling the high further fuels the need for the drug among chronic methamphetamine abusers. Abrupt stopping of meth can cause forceful withdrawal symptoms like anxiety, fatigue, intense craving for the drug, depression etc. Some other long-term effects include damage to blood vessels of the brain and heart resulting in stroke, myocardial infarction and even death. Sniffing or snorting of the stuff can lead to destruction of nasal tissues. While smoking meth can cause respiratory problems in the user, injection of the meth can result in abscesses and infectious diseases. Regular use can result in loss of appetite, which could lead to weight loss and malnutrition. Dental problems like tooth decay, colour change and increased bad breath is the other major side-effect of sustained meth abuse. Meth abusers typically become psychologically dependant and could experience depression, stroke, brain damage similar to Alzheimer’s disease, and epilepsy. They could also suffer from paranoia, difficulty trusting people and a general fear of people as well. When methamphetamine is indulged continuously over a long period of time, the brain starts to rely on its stimulant effect, creating a craving for the same. 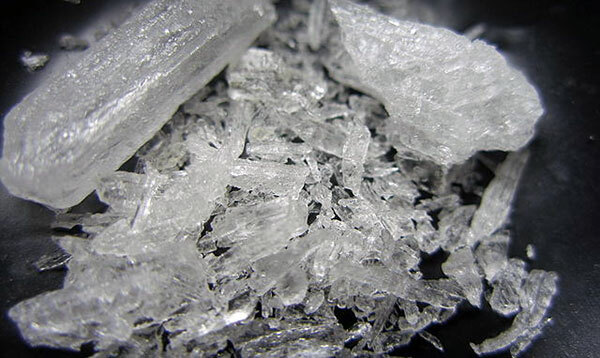 Methamphetamine, being very harmful and a strongly addictive stimulant, increases chances of developing cancer and could cause liver and kidney failure too. Meth use could also cause birth defects, reproductive issues such as miscarriage and infertility. Infection of the skin due to poor hygiene is a major side-effect of continuous methamphetamine use. Dark and rotten teeth, also known as “meth mouth.” occurs due to the intake of this substance. Fear of overdose and death is a constant possibility in addicts. Psychological health effects of meth use include addiction; increased tolerance leading to higher dose; inability to feel any pleasure that results from the destruction of dopamine receptors in the brain; impaired cognition; poor judgement, and impaired ability in memory and motor skills. Hallucinations; delusions; aggression, paranoia are some other psychological side effects which plague the user. Psychological need for the drug is the most common of all side effects resulting from long term methamphetamine use. This begins with increased drug tolerance, after which you develop withdrawal symptoms when methamphetamine is not used at regular intervals, leading to Methamphetamine dependence. There is no complete cure for meth addiction, but there is treatment which will also require good will power and perseverance. De-addiction specialists believe addicts who once commit to getting clean can start a new journey to becoming sober. Recovery procedure depends on the psychological counselling, time and focused medical attention. Most often support for the meth user from friends family and the rehabilitation center, and the calm assurance from the staff that he won’t return to drug-habit if he guts it out, goes a long way in helping the meth user to overcome methamphetamine addiction. Methamphetamine users are easily prone to addiction and it’s a major issue in the United States. Use of this drug leads to serious health issues and also can result in grave consequences. Most important thing is to keep a watch on the signs and symptoms of meth users. Meth addiction shows a lot of physical signs like the addict behaving differently, hyperactivity etc. Looking for the signs and symptoms listed here can actually save your loved one. The first sign that any addict would show is loss of interest in different areas of life. Hobbies, relationship and/or career will take a back seat to methamphetamine and the high which is gives. How they think and feel changes to a major extent is as important as the next dose of drug. One of the major signs of meth addiction is the addict displaying signs like loss of interest in relationships and neglecting their own people. At times, they become self-isolated and shift their groups suddenly. They break open their savings to buy their meth, showing risky financial behaviour or even tending to steal money to buy meth. Sometimes, it could happen that the addict may have obsessive focus on particular task and tends to forget important dates & events. There could be a violent streak that is noticeable with wobbling and clumsiness. He could have a distracted behaviour in public or become hyperactive with super energy. Sleep disturbances like insomnia and hypersomnia can also be seen. Change in body language and repetitive behaviour like pulling of hair or touching a particular spot on the skin all the time could be the sign for crystal meth abuse. Physical and psychological reactions of meth addicts are some of the valuable lesson which can help in identifying whether your loved ones have fallen for these dreaded substances and is abusing it. Some of the physical signs of crystal meth abuse include sudden weight loss, extreme perspiration, irregular breathing, nosebleeds, sores that heal very slowly, dilated pupils, burns on lips and fingers, track marks on the hands, rotten, black and broken teeth, bad breath and premature skin aging. Besides, some methamphetamine users also experience seizures, heart attacks and liver/kidney failure. Psychological symptoms of meth users include addicts becoming really anxious, paranoid, nervous, agitated, depressed with lot of mood swings, fidgety and having hallucinations most of the times. They always feel and believe that they have some insect or a pest crawling on and under the skin. If any of the above symptoms are seen or noticed, it becomes imperative to get the meth user to the nearest practitioner as early as possible. Low-Intensity: These abusers snort or swallow methamphetamine as they want that extra stimulation for staying awake for a longer time to complete their task or want an appetite suppressant in order to lose weight. These low-intensity users are just one step away from becoming ‘binge’ (uncontrolled use of a substance) abusers. Binge: These abusers smoke or inject methamphetamine with a needle. Injecting meth allows the addict to get more intense dose for experiencing a stronger “rush” that becomes a psychological addiction. These addicts are on the verge of moving into the next category i.e. high-intensity abuse. High-Intensity: These abusers/addicts are often called “speed freaks,” whose entire existence is on preventing the crash and the painful letdown after a drug high. They always want to take more and more of meth in order to achieve the desired “rush” from the drug. Like other drugs, each successive meth high is less than the one taken before, hence making the addict crave for more every time, making him move into the vicious cycle of addiction. Rush: This is an initial response the abuser feels when he smokes or injects methamphetamine. The rush causes abusers’ heart to race faster and blood pressure to soar higher. Unlike cocaine rush that lasts only for few minutes, rush from methamphetamine can continue up to half an hour. Binge: Uncontrolled use of any substance, especially drugs or alcohol is referred as ‘binge.’ The abusers crave to maintain the high by smoking or injecting more methamphetamine. Binge lasts for three to fifteen days. The abuser becomes hyperactive, both mentally and physically, during the binge. Each time the abuser smokes or injects the drug, he gets a small rush until the rush abates. Tweaking: This is the most dangerous phase and comes at the end of the drug binge when methamphetamine no longer gives a rush or a high. Unable to relive this horrible feeling of craving, the abuser loses his sense of identity. Intense itching and feeling of insects crawling on or under the skin is often experienced. Disturbance: The addict is unable to sleep for days and is in psychotic state a lot of the time, tends to be in his own world, seeing and hearing things, hallucinating and is disconnected from reality. The potential for self-mutilation is high in this stage. Crash: To a binge abuser, the crash happens when the body shuts down, unable to cope with the drug effects and this results in a prolonged period of sleep. Even the most aggressive abuser becomes silent, almost lifeless, during the crash. The crash generally last for one to three days. Hangover: After the crash, the abuser becomes deteriorated, starved and dehydrated mentally, physically and emotionally. This stage lasts from two to fourteen days. This leads to forced addiction and it appears to him that the only solution to these feelings is to take more meth. Extended Withdrawal: There is a prolonged period where the effects of abstaining from the drug wears the person down. First comes depression, then the loss of energy and there is marked decrease in experiencing any kind of pleasure. Since meth withdrawal is excruciating and knotty. most users revert; hence about 93% of those in treatment return to methamphetamine dependency. Nothing is really worth the risk of developing a fatal dependency that comes along with using methamphetamine. Meth overdose in all the cases leads to poisoning of the body. Besides above-mentioned side-effects, a few co-occurring disorders/effects could be ADHD; mood disorders; depressive disorders; bipolar disorder; behavioural addictions; gambling disorder; anti-social personality disorder, conduct disorder etc. Paraphernalia in the meth user’s home, car or their personal legroom could include burnt spoons, rolled up slips of paper or dollar bills. Empty pen cases or straws with pieces of glass or mirrors or razor blades can also be seen around their belongings. All these are things that are used to snort meth. One can also come across water pipe or any other pipe (used for smoking crystal meth) with scorch marks around their space. Meth users can also use aluminium foil for smoking crystal meth. Needles and syringes used to inject meth along with shoelaces or rubber tubes used as a tourniquet for injecting the drug intravenously can be found as well. If you notice any one or more such signs in a loved one, then there is possibility of them being an methamphetamine addict. Knowing how someone behaves when on meth is a first step in getting the needed help for the meth addict. 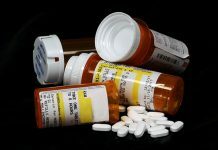 Medical professionals can help the addict get out of this addiction. There are lot of factors are involved in people abusing methamphetamine. Genetically, if any family member was addicted to meth, it is likely that any individual from the family may cling onto it. Biologically, if one is falling short of the dopamine levels in the brain, then the release which is provided by methamphetamine use makes a person get into the habit of abusing meth/crystal meth. Psychologically, many mental illnesses can make individuals turn towards substance abuse as a means of enhancing or controlling themselves. Environment of the home in which children are reared also plays a major role in person getting into the habit of meth or any other substance abuse. No matter what happens, control over self is a factor that will allow individuals to choose right from the wrong. Family, friends and peers are equally important in saving life of the loved ones. Nothing is more important than Health and LIFE. Next articleAlcohol Detox – How long does it take?